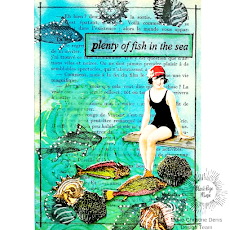 Hi Chris here today sharing a quick card I created using my Distress markers with Sin City Stamps! 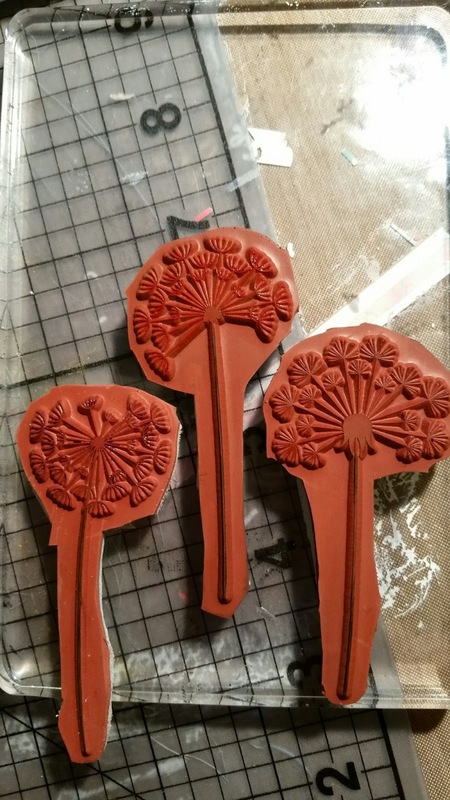 I started by coloring on my stamps with my distress markers. I then spritzed my stamp with water lightly and stamped onto my watercolor paper. 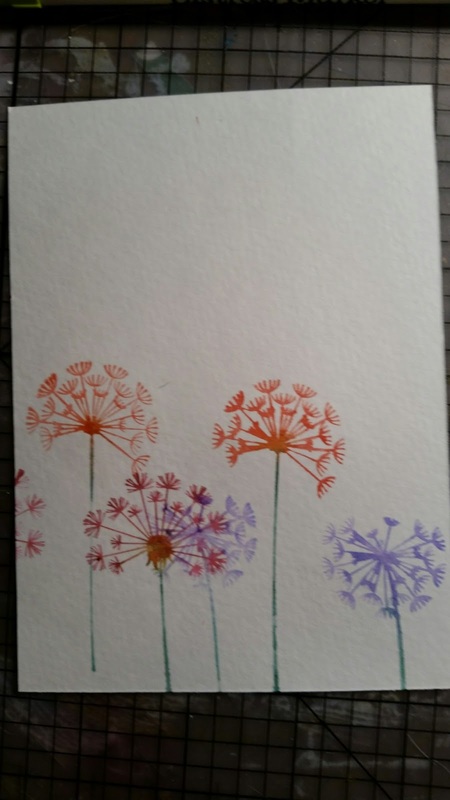 I re-stamped the images without re-inking to create the illusion of flowers in the background. I originally stamped my greeting directly on the card. I wasn't paying attention and I stamped the image off kilter. So I re-stamped the greeting onto my watercolor paper and used my scallop circle punch to punch out the greeting. 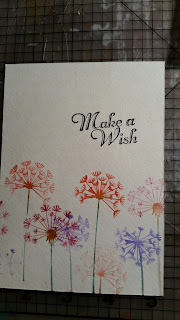 I matted the greeting onto another scallop punched circle and added to my card. 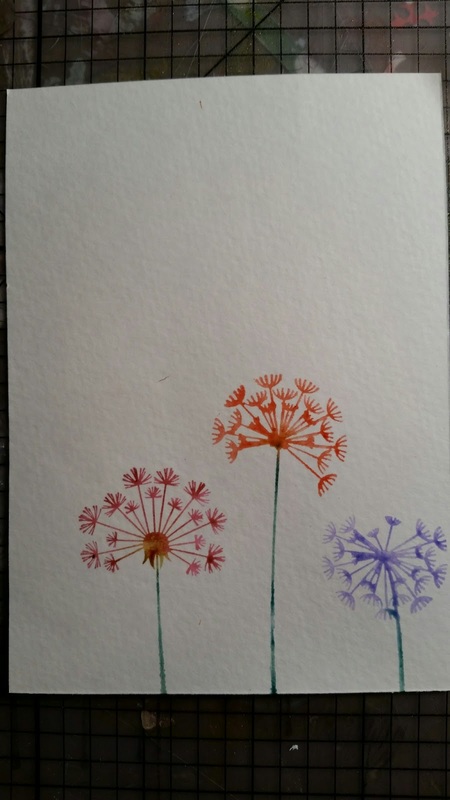 I matted the card onto the same paper I used for background punched circle. 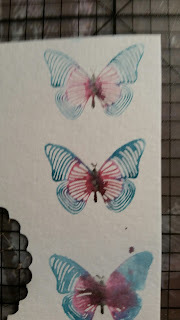 I then colored the butterfly stamp and stamped onto the watercolor paper WITHOUT spritzing with water. I actually did spritz with water and first and the Black Soot I used for the body bled all over the rest of the butterfly :( So you can learn from my mistake. 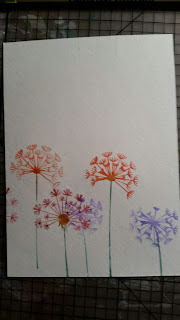 I then used my Martha Stewart Butterfly punch to punch out the butterfly. 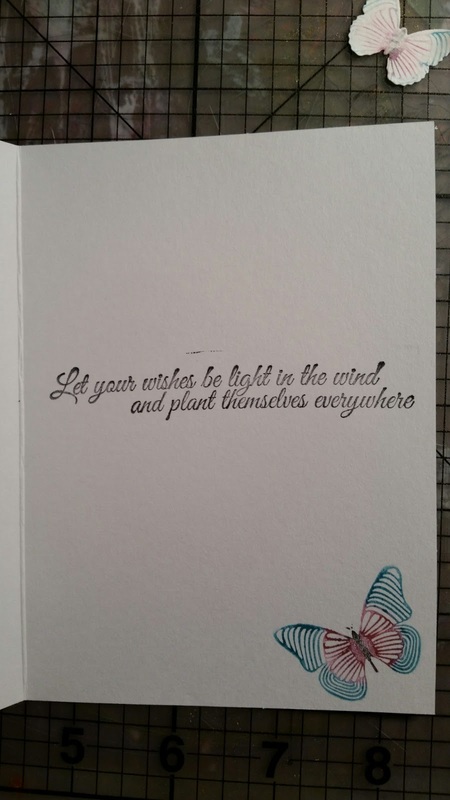 I then stamped an additional greeting and butterfly on the inside of my card. 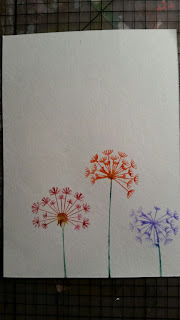 I'm in love with Mixed Media!